d. Performed or performs regularly on the theatre organ for pay before the general public in any restaurant, pizza parlor, theatre, or other public entertainment venue. If your particular situation requires clarification, please contact the Young Organists Scholarship Committee Chairperson. Are based on the number of applications received, frequency of lessons at the teachers rate and the funds available to the scholarship committee in a given year with a maximum available award limit of $1500.00 per student. 1. 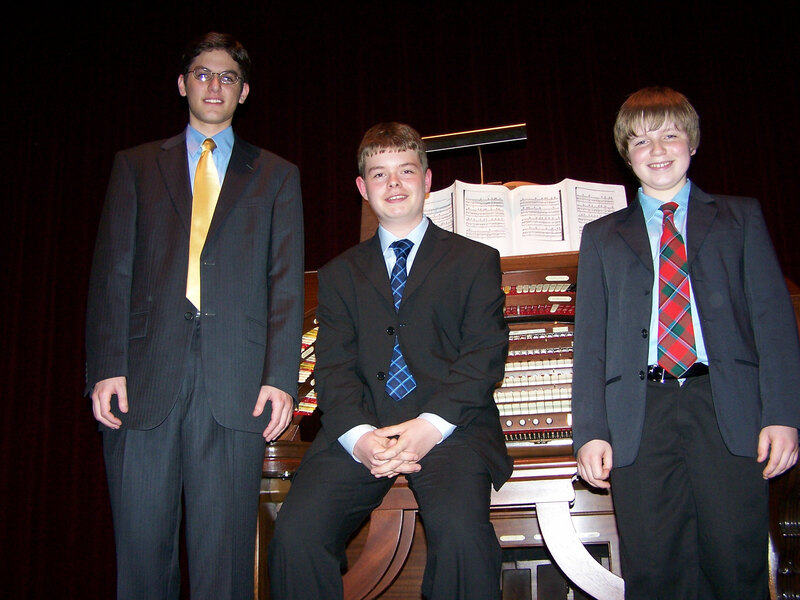 Must be a beginning or present theatre organ student, studying with a professional theatre organ teacher. 2. Candidates’ names must be submitted by their professional theatre organ teacher. a. Why he/she feels they should be awarded this scholarship. b. Their interpretations on the different applications and musical styles in which theatre and classical organs are used. Prior to ATOS issuing the scholarship funds awarded a paid receipt from the student’s professional theatre organ teacher and an official ATOS “Request for Payment” form must be presented to the ATOS Scholarship Committee chairperson. The student may request funds in $100.00 increments or may wait until they have a sufficient amount of paid receipts for completed lessons to request payment of the full amount of the award. Monies awarded may also be applied toward an approved theatre organ workshop. All ATOS Scholarship funds are awarded in US dollars. Payments to Scholarship recipients to countries outside of the United States will reflect the US exchange rate as of the date of issue. All paid receipts provided by recipients must also reflect the US exchange rate at the time of a payment request. Recipients of scholarships are eligible to apply for a scholarship in the following year, if the student shows exceptional progress, at the discretion of the committee. Applications for ATOS scholarships must be submitted by April in any given year. After review by the committee members, the candidates chosen will be notified of their scholarships. Application forms are posted to the bottom of this page. Any questions should be directed to Michael Cippoletti (mwcipolletti(at)gmail.com), scholarships coordinator.